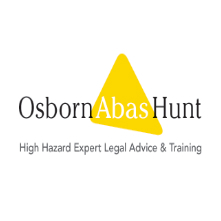 Long-time NWCSG supporters and H&S law specialists, Osborne, Abas, Hunt (OAH Law) are running 3 x one-day intensive Incident Response and Accident Investigation Courses on dates in May, June and September 2016. The course is designed to signiicantly enhance the assistance provided to companies by internal investigations, and ensure the most appropriate internal handling of matters under investigation by the police and/or Health and Safety Executive, both of which have never been more important in the light of the new sentencing regime which took effect on 1st February 2016. Immediate internal actions following a work place incident | Understanding the actions and investigative powers of the police and HSE in major incidents | Co-operation with the authorities without school boy errors | HSE’s response to non-major incidents | Understanding and challenging initial enforcement action – Fees for Intervention, Improvement Notices and Prohibition Notices | Understanding the remit of Inquests and their connection with potential criminal proceedings | Internal investigations – remit, evidence gathering, analysis, recommendations, report writing and next steps. For a full course spec, please click here. The course contents are specifically tailored to ensure delegates fully appreciate how actions taken in the aftermath of an incident can be directly relevant in any subsequent sentencing process if a subsequent prosecution leads to conviction, whilst also looking at strategies to avoid prosecution. 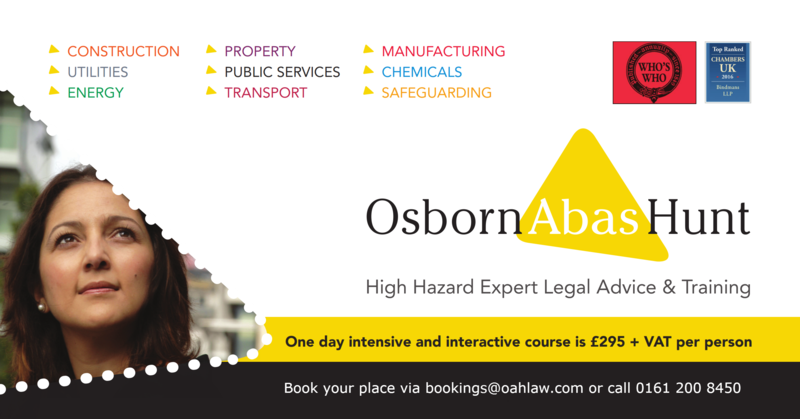 Get in touch to book your place via bookings@oahlaw.com or please call 0161 200 8450 to book with Executive Assistant, Jessica Brown.